Sebastian Vettel apologised to Ferrari fans after the home team's bruising defeat to Mercedes in the Italian GP - a result the country's media have described as an 'own goal'. Ferrari's hopes of a first Monza win in eight years were dashed by Lewis Hamilton, who overtook both Vettel and Kimi Raikkonen to claim a famous win at the home of Mercedes' greatest rivals. Vettel spun in a lap-one clash with Hamilton and although he raced back through the field with a damaged car to fourth, he slipped 30 points behind the Englishman with seven races to go. "It's a disappointment for the people that turned up," Vettel said. "I think they gave us a lot of support and we didn't deliver for whatever reason. "There are many points to win back now in the championship, but we still have time to improve and we have the margin to recover. I am sorry for our Tifosi because they just deserved a different result." 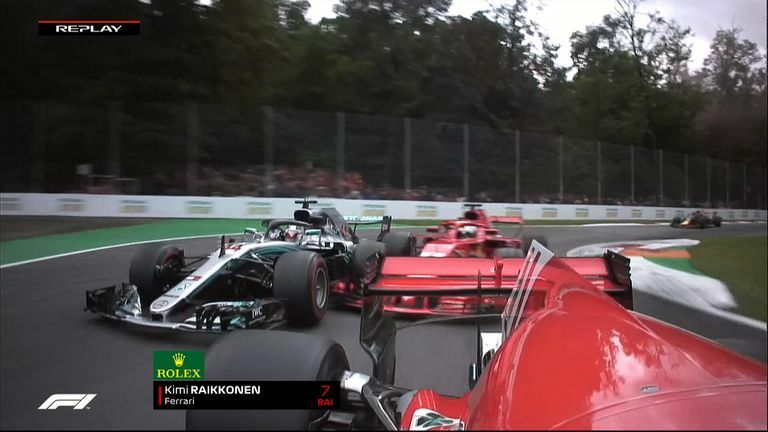 Most observers had certainly expected a difficult result after Ferrari locked out the front row at Monza, yet the team's race began to fall apart inside four corners when Vettel clashed with Hamilton. Italy's daily sports newspapers reacted with widespread dismay at the performance of the country's effective national team. Gazzetta dello Sport ran the headline 'Own goal Ferrari' on the newspaper's front page, with the Maranello outfit also described as 'sinking reds'. Meanwhile, the Corriere dello Sport said Ferrari's result was 'not enough' on a day Hamilton 'takes everything'. While the Englishman may have been booed by the partisan Tifosi fans on the podium, the sports daily called Hamilton 'Schumilton' after he matched Michael Schumacher's record of five Monza wins. Schumacher, of course, remains far and away Ferrari's most successful driver.